This advice from the NHTSA is now legal in N.H.
Bicycles aren’t really geeky – unless they’re electric, autonomous, GPS-enabled and/or use a hydrogen fuel cell, of course – but there’s something so steampunky about those gears and chains that I think it’s reasonable for me to mention an intriguing change coming to state law. 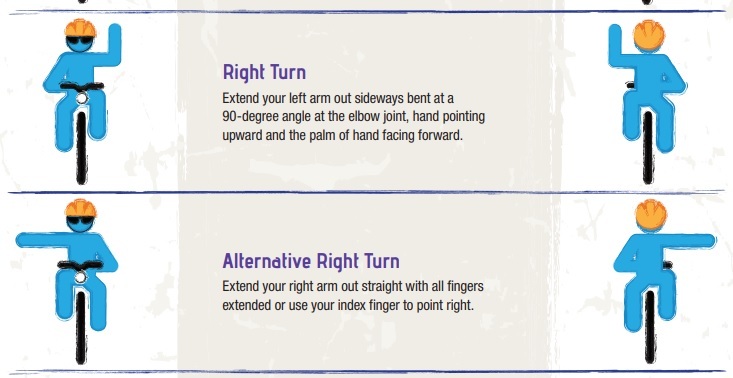 I’m not much of a bicycle rider, but it had never occurred to me to signal right-hand turns with my right hand; I’ve always used the left arm in an upright L shape. Now it will. The National Highway Traffic Safety Administration says this kind of signal is fine, although it calls it the “alternate” version (see PDF here). Point in the direction you’re turning. As I said, clever. And a bit obnoxious. Podcast with Dave Brooks talking about some of his articles. Dave Brooks has written a science/tech column since 1991 - yes, that long - and has written this blog since 2006, keeping an eye on topics of geekish interest in and around New Hampshire, from software to sea level rise, population dynamics to printing (3-D, of course). He moderates monthly Science Cafe NH discussions, beer in hand, and discusses the geek world regularly on New Hampshire Public Radio. Brooks earned a bachelor's degree in mathematics but got lost on the way to the Ivory Tower and ended up in a newsroom. He has reported for newspapers from Tennessee to New England. 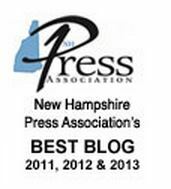 Rummage through his bag of awards you'll find oddities like three Best Blog prizes from the New Hampshire Press Association and a Writer of the Year award from the N.H. Farm and Forest Bureau, of all places. He joined the Concord Monitor in 2015. Is there a town-and-gown joke in new online historical database? Grow kale on Mars? Dartmouth students say: You bet!